Under Construction. QUALITY BUILT BY TREND BUILDING NEW 2019 VILLA 3 Bedrooms & 2 Baths 2 Car Garage Impact Glass Double Pane Hurricane PGT Windows Tile Roof BUILT TO THE MOST CURRENT BUILDING CODES Monthly fee is only $135/mo Split plan design Inside Utility Room Large Covered Lanai Open Chef's Kitchen with quartz counter-tops & stainless steel appliances West of the Trail Villa Just 5 minutes to Nokomis Beach Dining & shopping are nearby Sorrento Place is pet friendly! 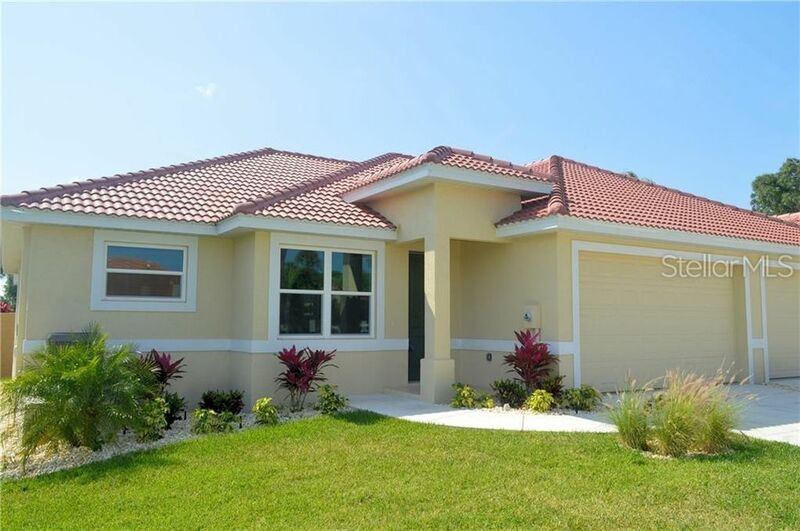 Walk to Community Pool Rent a boat slip at Sorrento Marina Play golf on Par 3 Golf Course next door Stop renting Buy your slice of paradise now Buy new - no headaches, no worries for years Perfectly positioned between Sarasota & Venice One look & you'll fall in love! Directions: US 41 north to Roberts Road; east to immediate right onto Access Road then to entrance of Sorrento Place.